How much of a difference have the updates on the new 2016 Range Rover Evoque made to the car? Some great personality had once said, ‘It is more difficult to stay on the top than to get there’. This saying applies strongly to the automotive scene as well wherein the Range Rover Evoque has a very similar story. When Range Rover introduced the Evoque sometime back, it was quick to gain accolades for its phenomenal design. In fact, it was even recognised as the 2010 car design of the year. But now, to be up to date with the ongoing design trends, Range Rover has given the Evoque a facelift. Is it enough to retain the space they managed to carve in the market and in the hearts of the people? The Range Rover Evoque was launched in India more than four years back and even today it demands as much of a second look as the day it was launched. However, to keep things fresh Land Rover has gone ahead and given it an update. On the outside, the new for 2016 Evoque gets a new piano grille that is accompanied by sharper looking headlights with DRLs. Up front the bumpers have been redesigned too and now sport larger air dams that makes it look aggressive. The bonnet scoops have been repositioned too. All the changes made on the MY16 model surely make the Evoque look up to date and younger than before. The Evoque has always looked fantastic in profile and Land Rover has ensured not to play around with it too much. You can choose from three options for the alloy wheels. The silver ones that we got on our test car stood out like a sore thumb. Considering the number of piano black bits on the car, blackened out wheels would have made the car look sportier. At the back, there aren't too many changes. The only recognizable ones are the addition of LED tail lights, a new spoiler, roof fins and a 3G antenna. Overall, although the changes on the refreshed Evoque are focused at the front, there is no denying that it continues to be a hot looking car. Not much has changed on the inside, apart from new seats and door panels. As opposed to the beige leather seats on the earlier model, this one gets a combination of black and tan leather. The same dual tone treatment continues on the doors too. And we have to admit, it makes the Evoque’s interiors look a lot younger and in sync with its exterior design. That aside, most of the details on the car remain unchanged. The floating center console with the large central screen looks elegant. As far as space and practicality are concerned, the Evoque gets a perfect score. Seats are well bolstered and have ample under-thigh support. Finding a comfortable driving position is easy thanks to the electrically adjustable front seats. Seats at the back too are wide enough for three average sized adults. And then of course, there is the massive 575 litre boot to dump all the luggage you can carry. All the features that you would expect from a car in this class, the 2016 Range Rover Evoque has it all and more. To aid in parking, there is 360 degree camera and if that isn't enough you also have parking assist. The Evoque also gets a panoramic sun roof, Xenon headlights, gesture tailgate, tyre pressure monitoring system and lots more. The new 2016 Evoque also get a larger 8-inch touchscreen infotainment system. The interface on the infotainment system is easy to use, and the touch is fairly responsive to inputs. For off road enthusiasts, the Evoque also comes with the Land Rover patented Terrain Management System. The only thing that we thought the Evoque could have come with is heated/cooled seats. The 2016 Evoque is sold internationally with a new engine dubbed the Ingenium, though for the Indian market Land Rover has chosen to offer the SUV with the same four cylinder, 2.2-litre 190PS/420Nm mill from the older model. The engine feels refined even today, but the Evoque doesn’t quite match its competitors like the Audi Q5 and BMW X3 in terms of acceleration, as it makes lesser power than the Germans. The 9-speed ZF sourced gearbox is a bit of a letdown too, since it offers smooth shifts but feels slower than expected to respond to inputs. Sport mode does help matters, though this has a direct effect on the efficiency. The 2016 Evoque’s stiffly set up suspension does hamper its ride quality. Larger bumps are felt inside the cabin but that aside the unevenness of the road is handled with fair poise. Visibility up front is good, and although at the back it does cause a hindrance due to the petite glass on the tailgate it is taken care of thanks to the 360 degree camera. And then of course, thanks to it being compact, it isn't much of a pain to drive in the city as well. On the inside, all the buttons on the central console are well within reach. The points that the 2016 Evoque loses in ride quality due to the stiff suspension, it makes up with ease in terms of handling. Body roll is limited and the feedback on the string wheel is adequate. Moreover, the tyres provide ample of grip too. The brakes though didn't have the kind of bite we would hope for from a car in this class. Of course, being an SUV it can take the road unexplored thanks to the preset Terrain Management System but we aren't sure how many Evoque owners would actually do that. When Land Rover started making the Evoque in India they slashed the prices. The pre-facelift model with the 9-speed gearbox was launched with a starting price of Rs 49.24 lakh, but with this 2016 model they have managed to price it even better. The 2016 Evoque now starts at Rs 47.1 lakh which also includes a 3-year 1,00,000km warranty. However, the top-end trim that we drove came with all the bells and whistles and is priced at Rs 63.20 lakh. It must also be noted that earlier this year, Land Rover introduced the Discovery Sport at a very similar price range. Keeping the aspirational value of the Evoque in mind, it might just eat into the sales of its sibling. Not that many Evoque owners would care, but it proves to be pretty efficient too, returning north of 13kmpl. This year Land Rover has brought in two updates to the Evoque – first the 9-speed box and now the 2016 design, and we have to admit both have been steps in the right direction. The only disappointment though is that Land Rover hasn't introduced the new Ingenium unit in India which is proven to be more refined than the current gen motor. Moreover, in terms of outright performance, the 2016 Evoque doesn’t quite match up to competitors like the Audi Q5 and the BMW X3. 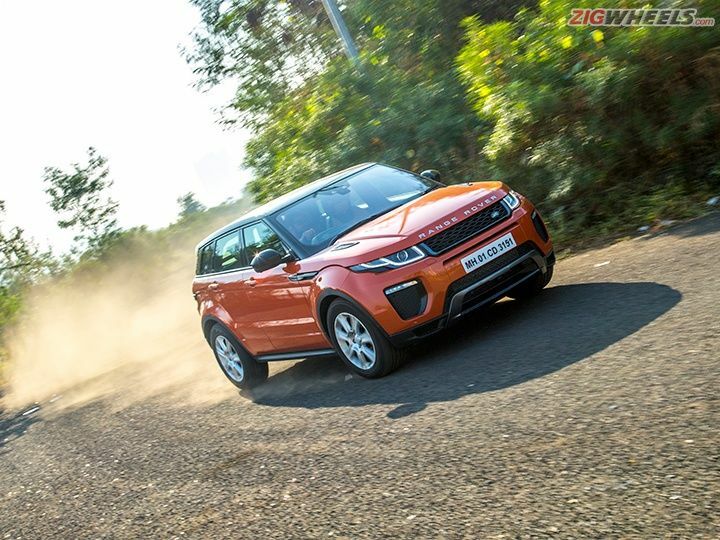 However, with the refreshed look and better looking interiors, the Evoque continues to rank quite high in terms of aspirational value and that should surely work in its favour. Share your experiences with Range Rover Evoque?